Well, today, January 6th, is the feast of the Epiphany, or the Revelation of Christ to the Gentiles. Epiphany, epi-to, phainein—show, reveal, manifest. 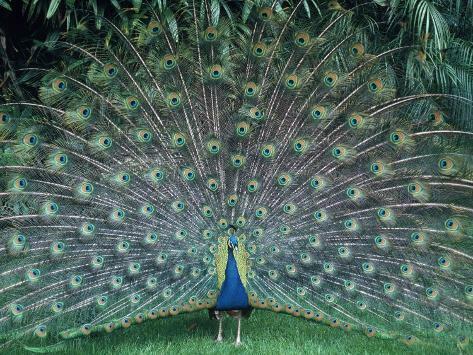 The word used for the moment when a peacock suddenly unfurls his magnificent tail, and we see the full, hitherto hidden glory. How has the ongoing process of transformation worked for me? Grace and Epiphanies. How exactly I changed, I cannot put my finger on, but I see that I have. I was vengeful, but now I am not. I was easily angered, but now I am not, unless I grow tired and weary. I was judgmental, but now I am not, particularly, unless I grow tired and weary! I wrote off people rapidly, but now I do not do so. And so on. Some of this change is because of the grace of God, freely given. God’s invisible loving radiation working on my soul. I spend an hour a day sitting and basking in God’s presence. I sometimes get distracted, sometimes feel bored, sometimes feel as dry and restless as a stick in the wind. And I sometimes feel strong currents of grace and love and power invade my soul. Perhaps the change in one’s inner being comes from the process of basking in the sun of God’s love, which warms this dull brown cold-blooded chameleon, turning her all the known colours of the chameleon–pink, blue, red, orange, green, yellow, turquoise and purple!! But much of the change in me has occurred through epiphanies. I see something, and I see it clearly, and it changes how I think, feel and act. Reading Ann Voskamp’s One Thousand Gifts has been epiphanic. Live in the present, give thanks in everything. This totally changes your attitude and your emotions. Two instances: We had a glorious retreat in Wales, filled with God’s presence. And then a peaceful, glorious week at home in Oxford for Christmas. Then we had booked a week in London between Christmas and New Year, to do the museums, and the bright lights, big city thing. Gosh, after a peaceful two weeks of timeless family serenity, reading, writing, watching movies, hanging out, Roy and I sure didn’t feel like going to London. Couldn’t get out of it–booked and pre-paid, non-refundable! I was almost feeling resentful about the hammer-beat of the noise and crowds on a pulse and spirit which had SO slowed down, and then I remembered that I had decided to live in the present, and be thankful in all things. Thanking God that I would get to see the Pre-Raphaelites and Turner and Constable in Tate Britain; the Impressionists in the Courtauld; butterflies and birds in the Natural History Museum, eat delicious Indian and Middle-Eastern food; and take my girls clothes shopping in the Westfield Center changed my attitude from “Oh, I’ve planned too much for a 3 week break,” to excitement. Dear God! the very houses seem asleep;And all that mighty heart is lying still! And here’s an example from this week of how the epiphany of being thankful in all things has changed my emotions and thinking. Oh, had I but learned that lesson of being thankful in all things earlier, how different would my life have been. The years when I was angry and resentful with Roy for not helping with housework or childcare as much as I wanted him to. The years I was so worried about how little I was able to write that the very worry and anxiety slowed me down further, and caused adrenal fatigue. All could have been different!! 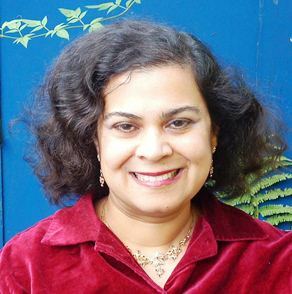 But even for that, be thankful, Anita, because one teaches best, and shares best, the lessons learned in a hard and bitter school. For then, you know for sure, that they are true. * Learning to be rejoice always, to be thankful in all things. * Learning not to worry about anything at all, but instead to turn my worries into prayers. * Learning to trust God, whatever. * Learning to see this world as a love-gift from God, drenched in his grace, mercy and creativity!! Oh absolutely, Mary. The common use of meds are a means of grace given to us in the last 25-30 years or so, as life has become more and more complex and mechanized, as our contact with nature, extended family, and close friends, or a circle of close acquaintances diminishes. So much in modern life cuts us off from human contacts, and we are made to be social. I am a great believer in using prescription meds when exhausted, overwhelmed, or so depressed that you no longer think, judge or see as you normally would, etc. etc. I have used them myself and am a great believer in this modern means of grace. It's like a modern experience of resurrection!! Hi,Anita. I don't know as much about your background as I wish I did, but I love that you have been changed by your relationship with God! That's the way it's “supposed” to be…I have to say, I've been comforted by my relationship with Him, but changed more by medication. For so many years, I was on an emotional roller coaster and my family with me, apologies, forgiveness…more apologies…on and on, until a Christian counselor suggested I get myself some help from a Psychiatrist. With the help of meds I am able to see myself transformed by His Spirit. I rather wish my story were different, but I still give Him the glory! I too find some blogs are an integral part of my spiritual life–I enjoy Ann Voskamp's A Holy Experience, though I do skim rather than read the lead in to each blog. Though I also need church, because I worship best, when I have to sit still for a while and do so, because the worship lifts my spirits, and because being forced to sit through a sermon forces me to mentally engage with it more than with a blog post. Also, the give and take, irritations and pleasures of being in a Christian community are invaluable for smoothing off my rough edges, which blogs can't do. Ah, I see I am beginning to write a blog post in the comments!! Must expand on this at some time. Thanks much for the encouragement, Jo! I so enjoy reading and reflecting on your posts, at the moment they are a part of what I might call 'church' for me. God does teach us in unexpected ways, and you have a gift of being able to share.